Get ready for a week of delicious meals! We're embracing everything from fresh winter citrus to cozy curries and simple tofu dishes. Happy cooking! Winter is all about the cozy soups, and this spicy concoction is one that you'll love. 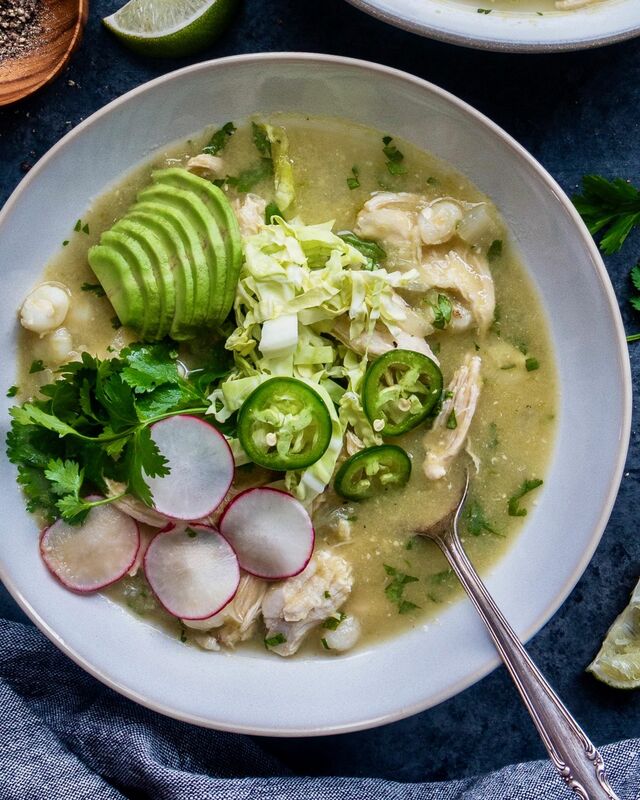 A squeeze of fresh lime juice brings this dish to life! Winter citrus is the BEST citrus. 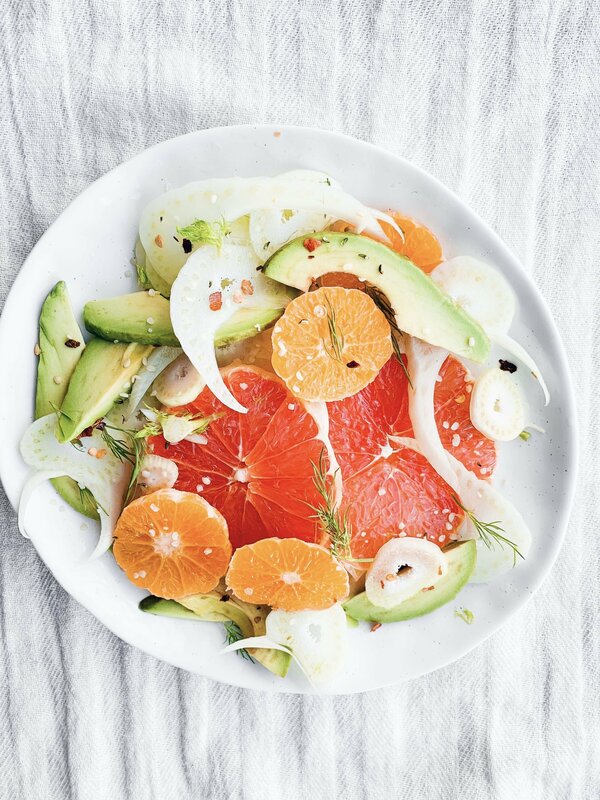 Throw it all in a hearty winter salad with crisp fennel and some fresh avocado slices. Simple yet delicious! Cozy up to this comforting curry ASAP. 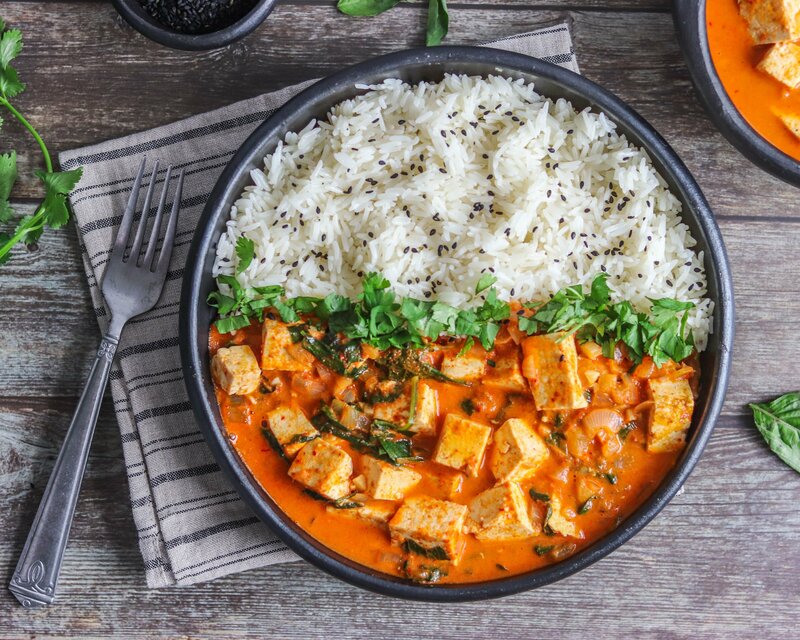 Spicy red curry and crispy tofu cubes are the ultimate winter dinner! Feedfeed Tip If you can't find Thai basil at the store, substitute with any fresh herb of your choosing. Eggs for dinner? Heck yes! 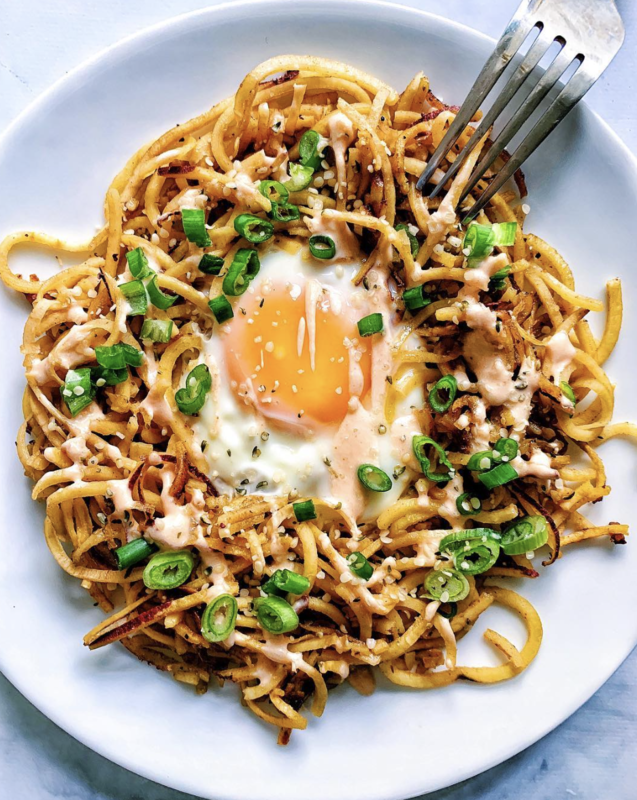 This spiralized masterpiece comes together in a flash and it's just as tasty as it is impressive. 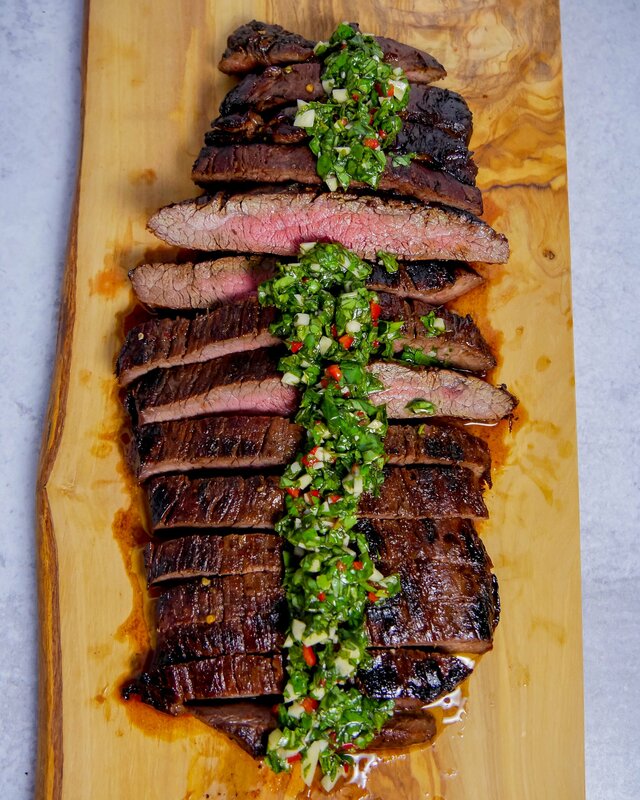 Chimichurri is the only sauce you really ever need! Make a batch at the beginning of the week and drizzle it on everything! Plus, you can't go wrong with a flank steak. Serve this with a green salad and dinner is ready! 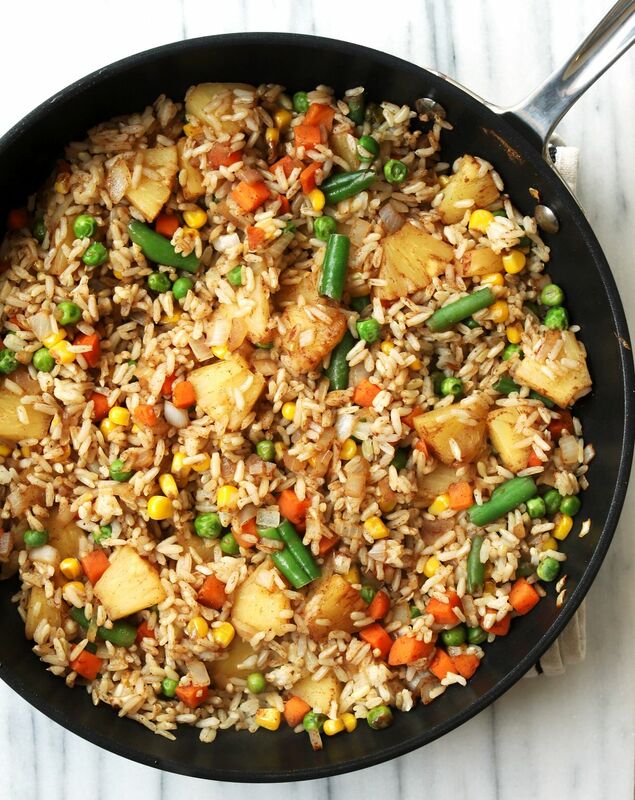 Friday is for fried rice! There's no shame in your frozen food game, and quite frankly, frozen peas and frozen pineapple bring this hearty dish to life! Weekends are for ALL the chocolate! 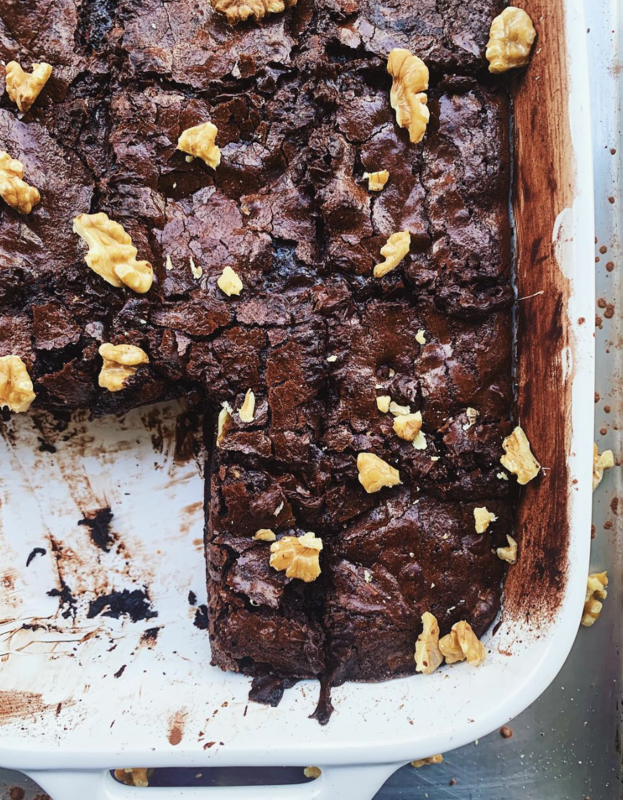 Go nuts with these fudgy-as-ever brownies.